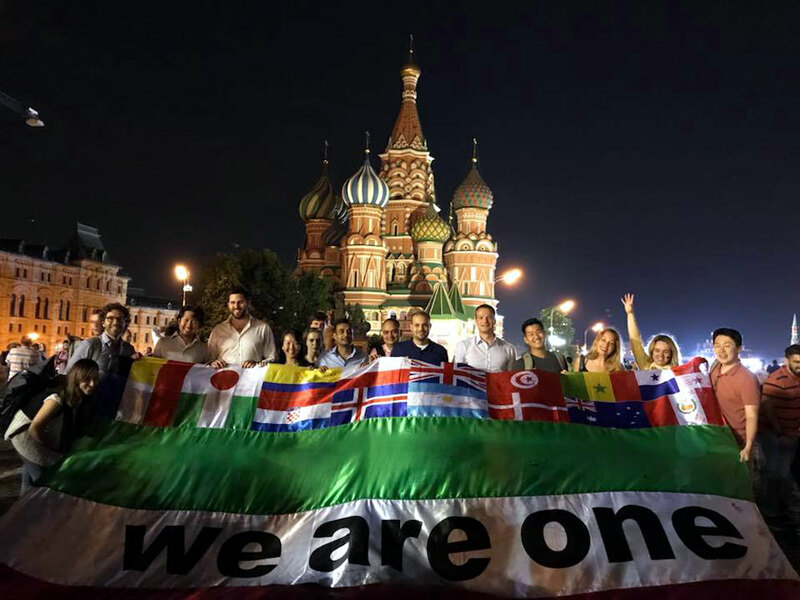 On 29 June 2018 to 1 July 2018, the FIFA Master Alumni Association (FMA) held its eighth World Gathering in the Russian capital… and it was remarkable. More than 80 alumni representing all 17 editions of the International Master in the Management, Law and Humanities of Sport (FIFA Master) ventured to Moscow from over 40 countries to meet with their fellow alumni, attend a high-profile sports conference, share knowledge and ideas to improve the FMA, and to celebrate friendship and football, culminating in attendance at the breath-taking Spain v Russia World Cup match. The 8th FMA World Gathering officially started at the HSE CIES FIFA Master Alumni Conference: Sport & Future, on 29 June. The conference was opened by FIFA President, Gianni Infantino, who emphasised the importance that FIFA gives to education through its support to the CIES and the FIFA Master. Other officials to welcome the audience included the Dean of Moscow's Higher School of Economics (HSE), Yaroslav Kuzminov; the Deputy Minister of Sport of Russia, Pavel Novikov; the deputy Secretary General of the Football Union of Russia, Alexander Zorkov; CIES President, Pierre Cornu; and FMA President, Giancarlo Dapoto. The conference presented a stellar line-up of speakers, including Google Vice President Fabio Coelho; Infront Managing Director Digital, Claude Ruibal; FC Internazionale legend, Javier Zanetti; and World Cup winner Leonardo. See the full report about the conference here. The conference was followed by a gala dinner, with special Russian flavour, offered by the HSE and the Football Union of Russia. Day Two started with the FMA Congress – a platform for the alumni to discuss methods to improve our association. The event had three distinct parts. First, after opening words from FMA President Giancarlo Dapoto and CIES Secretary General Vincent Schatzmann, a report of the previous year’s activities was presented by the FMA Committee. Second, various alumni made presentations to the assembled delegates. 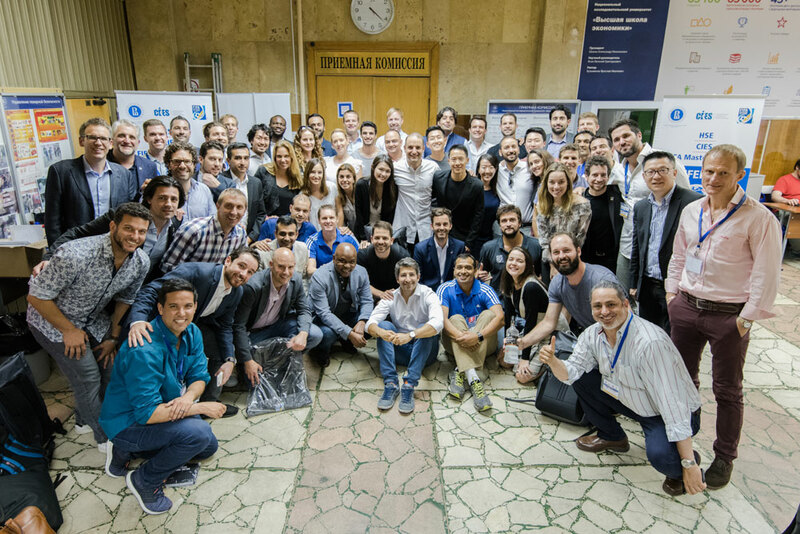 Nick Lau and Pedro Trengrouse (both 4th edition) called on the FMA to better promote its alumni – e.g. by making final projects available to and searchable by all outside the alumni, by proactively sending letters and press releases to promote accomplishments by its members, and otherwise. Elaine Lemos (15th edition) gave a presentation about the CBF Academy. Nathalie Wallin (13th edition) presented about the Mali Most Foundation – a social project in Bosnia, which is a direct result of a Final Project from her edition. Finally, Yair Scher (8th edition) talked about minifootball. Third and finally, there was an open forum, where several ideas were discussed. Minutes from the congress will be published soon on the various FMA channels. 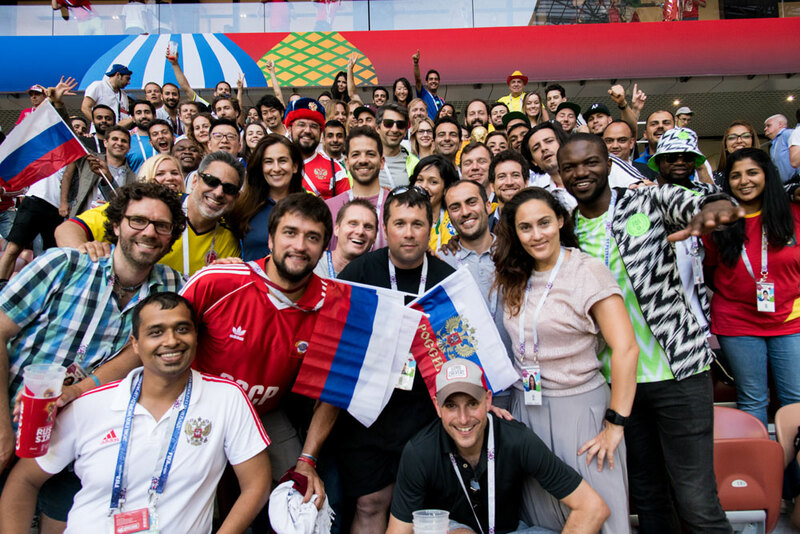 On the final day of the World Gathering, over 100 alumni and guests met at the Luzhniki Stadium to watch the thrilling Russian victory over Spain, in a penalty shoot-out, to secure the home team a place in the quarter-finals of the World Cup. The atmosphere could not have been better (maybe except for our Spanish alumni). Overall, the 8th FMA World Gathering was possibly the best to date. CIES President Pierre Cornu said “that was a truly impressive event, with excellent organisation. I am proud of everyone involved”. The FMA Committee is also proud and thankful to all alumni who made their way to Moscow and helped make it an unforgettable event.